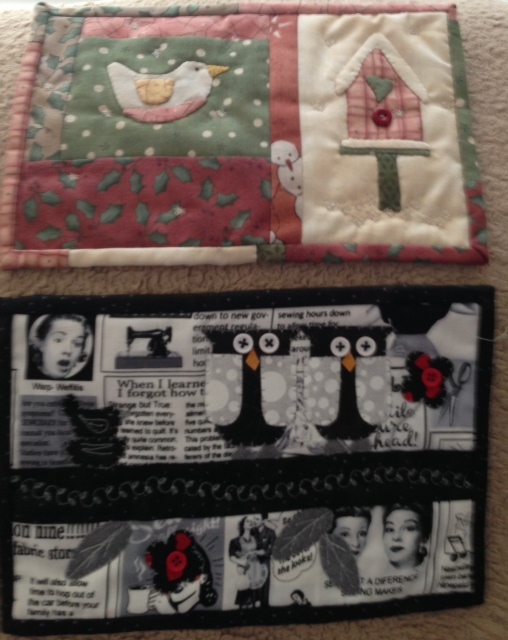 I received my mug rugs and have so enjoyed looking at them. I used the owl rug under my morning coffee this morning…what fun. They were made by my new friend, Elaine Rowe or Colorado. She not only does wonderful quilt projects but she is a papercrafter as well. I received a set of hand-made note cards complete with the cutest picture of various styles of high heels…can’t wait to use them! Thanks so much to Elaine. 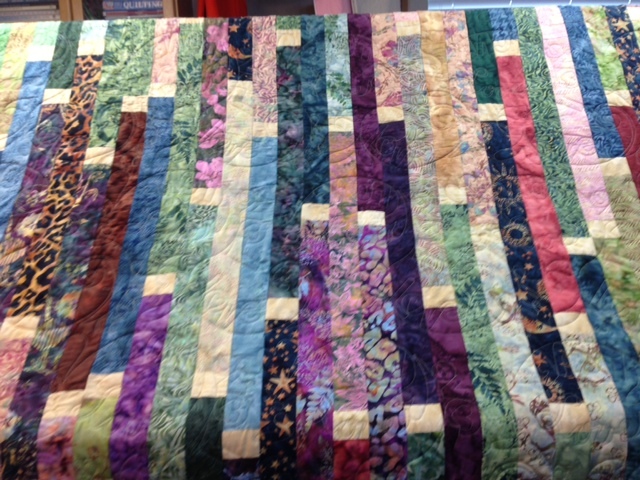 This really pretty 1600’s quilt belongs to Carol K. who is making it for a wedding present. I quilted it with an Ann Bright pattern with the word Love scrolled all over the quilt with different fonts…great for a casual wedding quilt to drape over the sofa. The quilt was long enough that we quilted the entire thing and Carol plans on making throw pillows to match. Having a great time today experimenting with a landscape quilt. I need a quick quilt to send up to Kansas for a fabric challenge…this is turning out nicely. Will post a pic as soon as it is more together. Fun though. Never done one of these before!